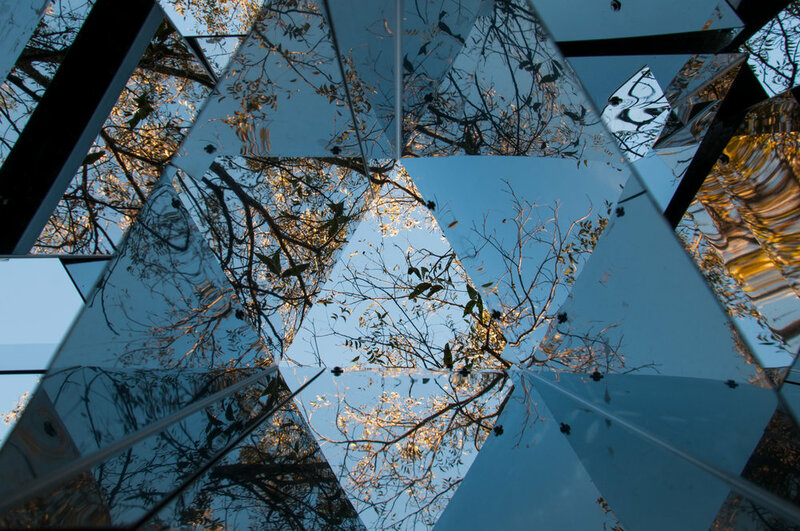 "Mirror Cloud" seeks to immerse visitors in the natural world by literally reflecting the immediate surroundings in a series of mirrors that juxtapose and collage information to create an unexpected reading of familiar context. 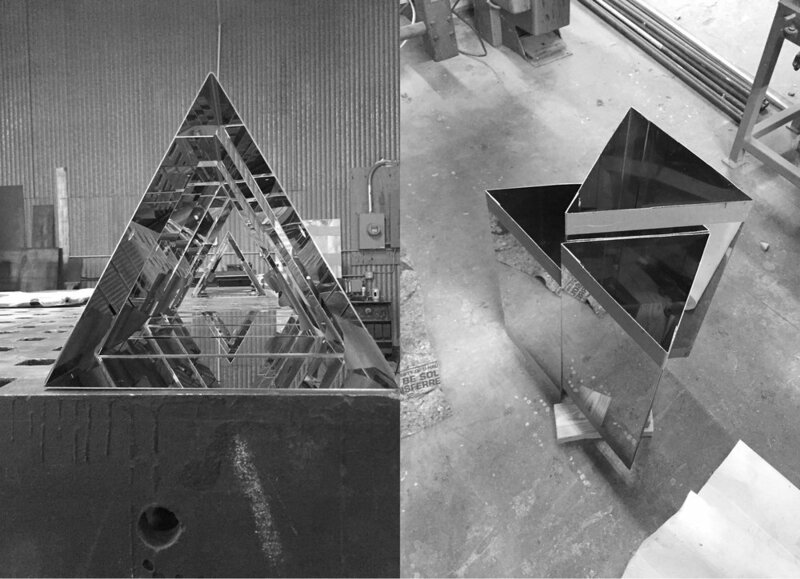 The piece is constructed out of two-sided mirror-finish stainless steel, bent into hollow triangular volumes and suspended on a steel frame. 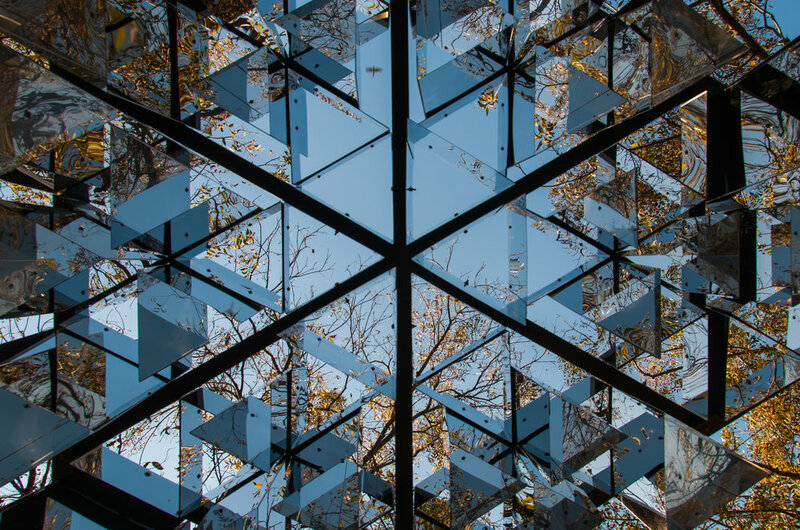 Due to their hollow nature, the mirrors act in duality - from a distance, the mirrors reflect the nearby trees, ground, sky, and visitors in the vertical surfaces. 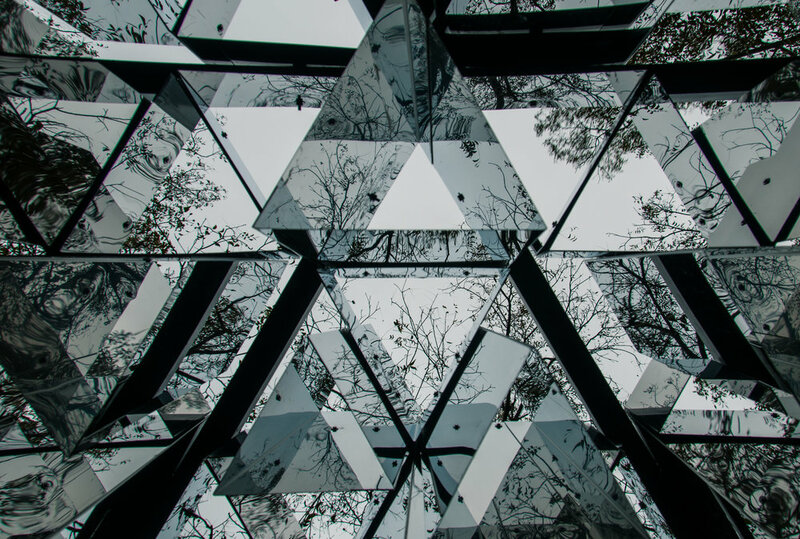 Up close, the mirrors kaleidoscopically reflect the sky above in the triangular interiors of each volume. 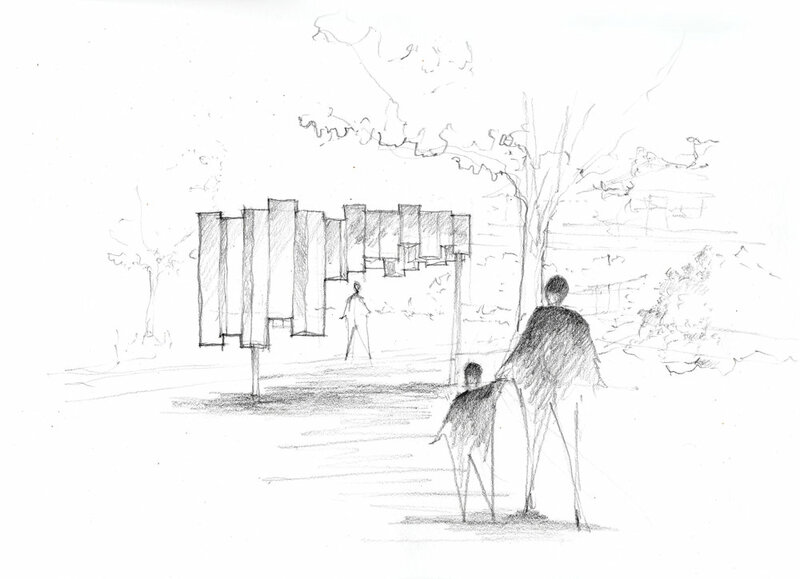 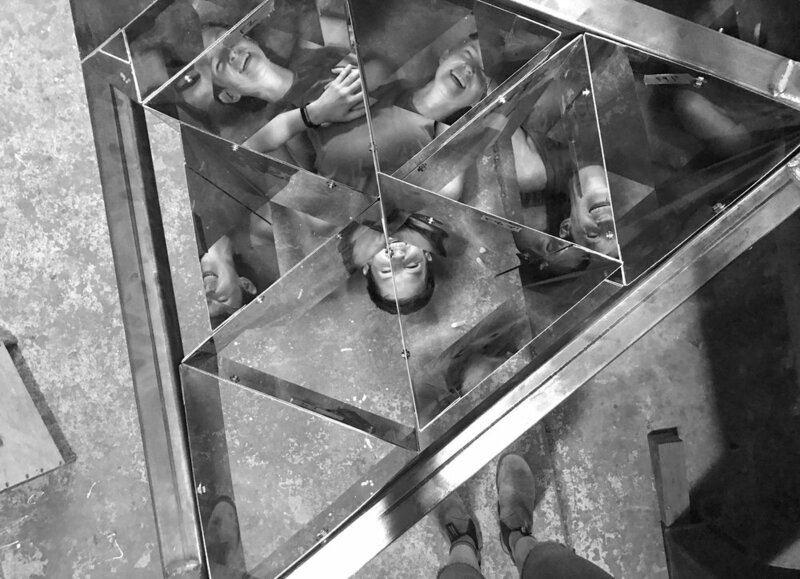 The intent behind the piece is to intensify the visitor’s understanding of place, heightening awareness of the immediate environment by presenting it in a new way, while allowing individuals to see themselves as a part of the landscape in the mirror reflection. 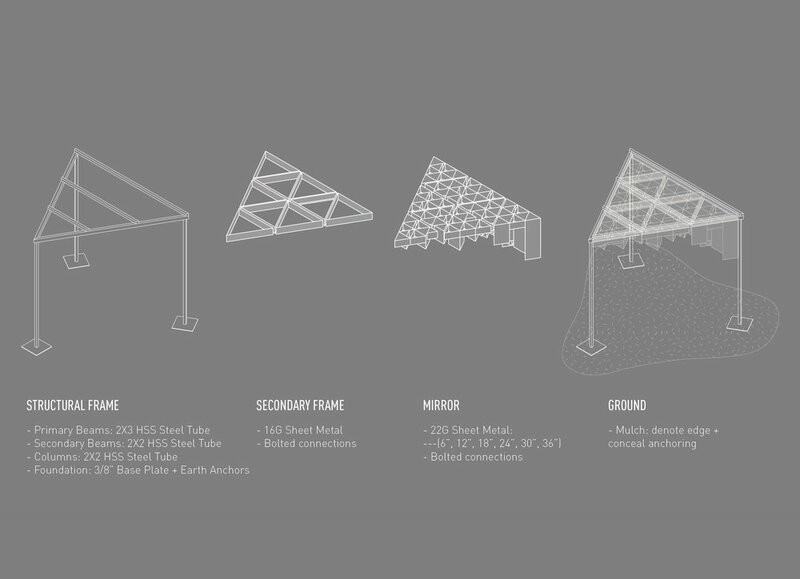 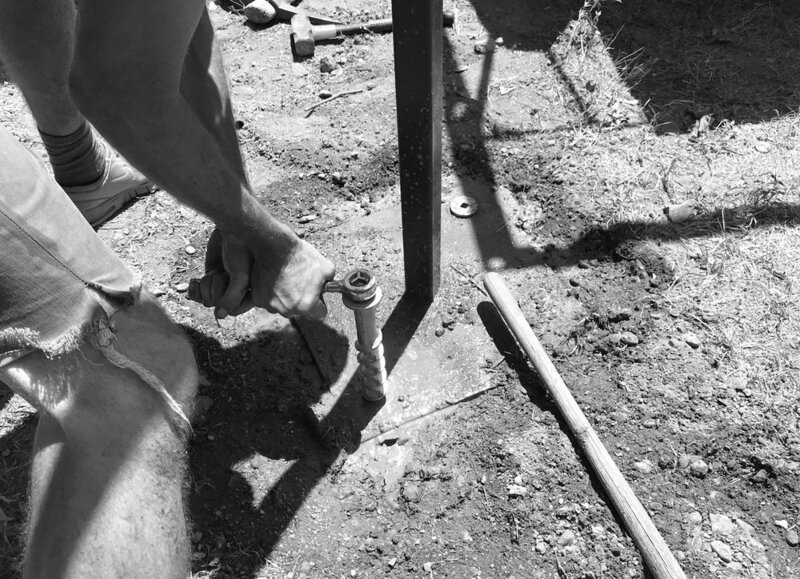 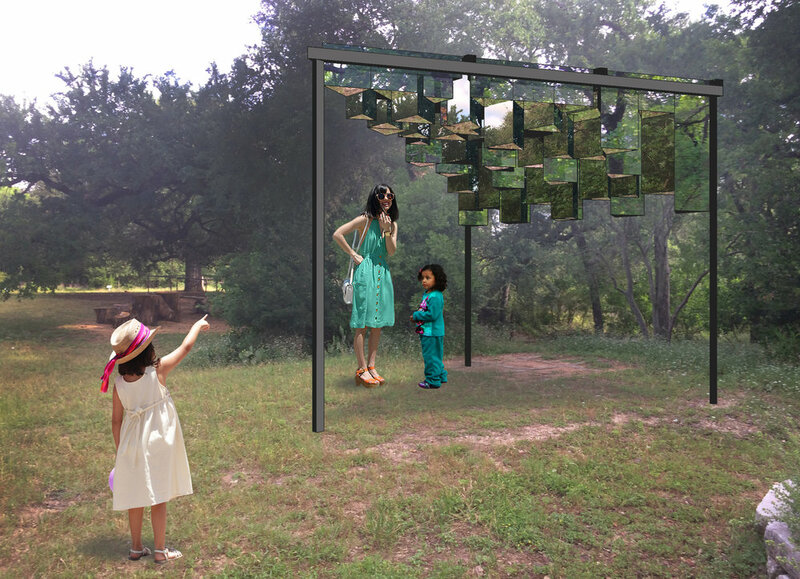 By locating the piece at the Austin Nature and Science Center, we hope to engage visitors in an immersive experience that invites deeper observation and perception of the natural world. 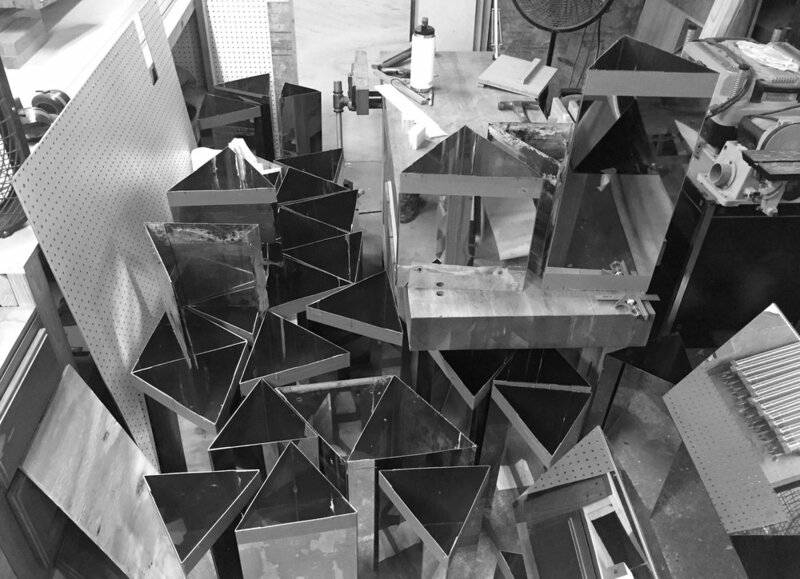 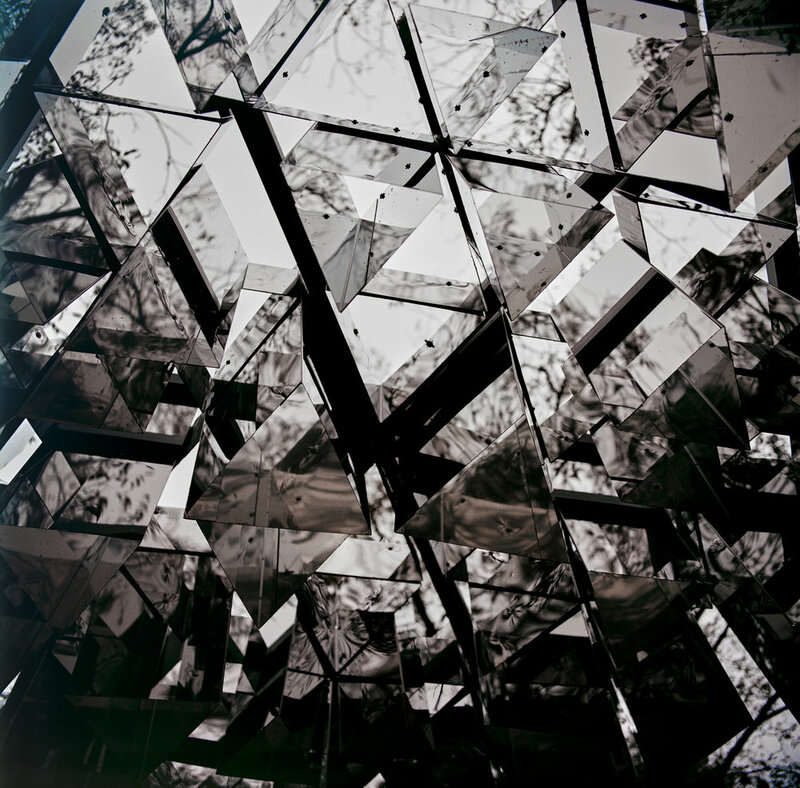 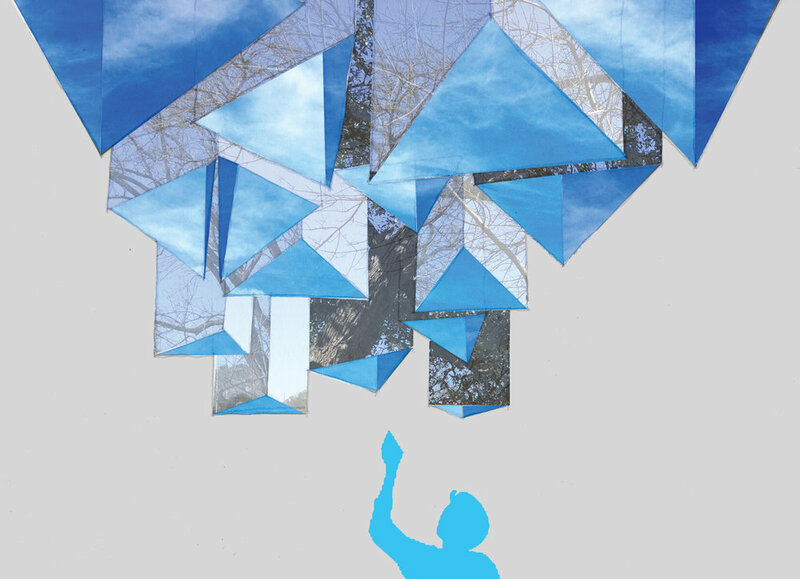 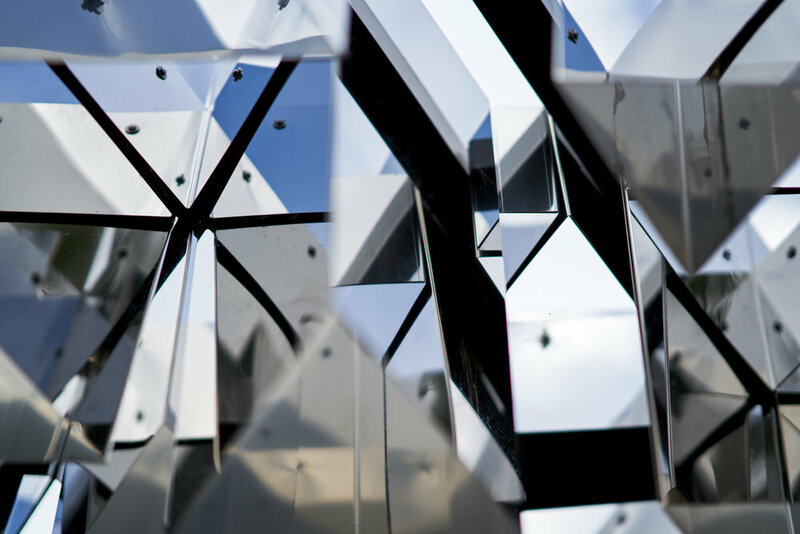 “Mirror Cloud” was commissioned along with 9 other pieces by the City of Austin’s Art In Public Places program as part of the TEMPO 2018 exhibition. 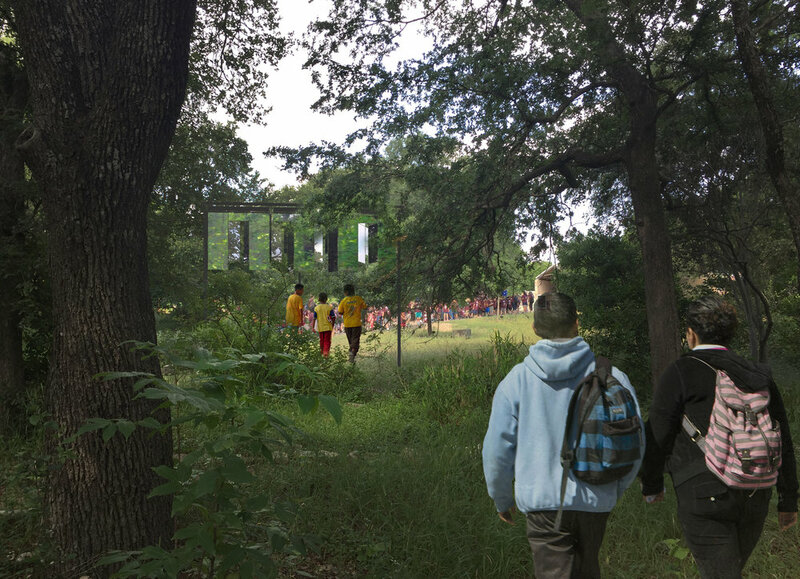 The piece was installed for two months at the Austin Nature and Science Center before moving to Festival Beach along Lady Bird Lake for two weeks.